1/8” thick acrylic Mens Locker Room sign includes ADA compliant 1/32” tactile (raised) lettering and Grade 2 braille graphics. 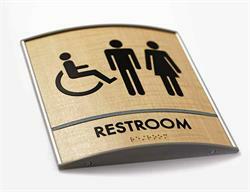 Properly guide students, members or guests to the proper locker rooms, with ADA compliant braille office signs. 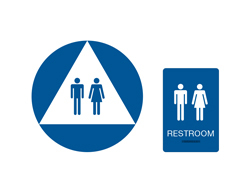 Choose the color combination that best suits your school or public facility. 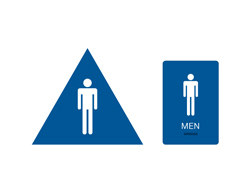 Standard text reads MENS LOCKER ROOM. 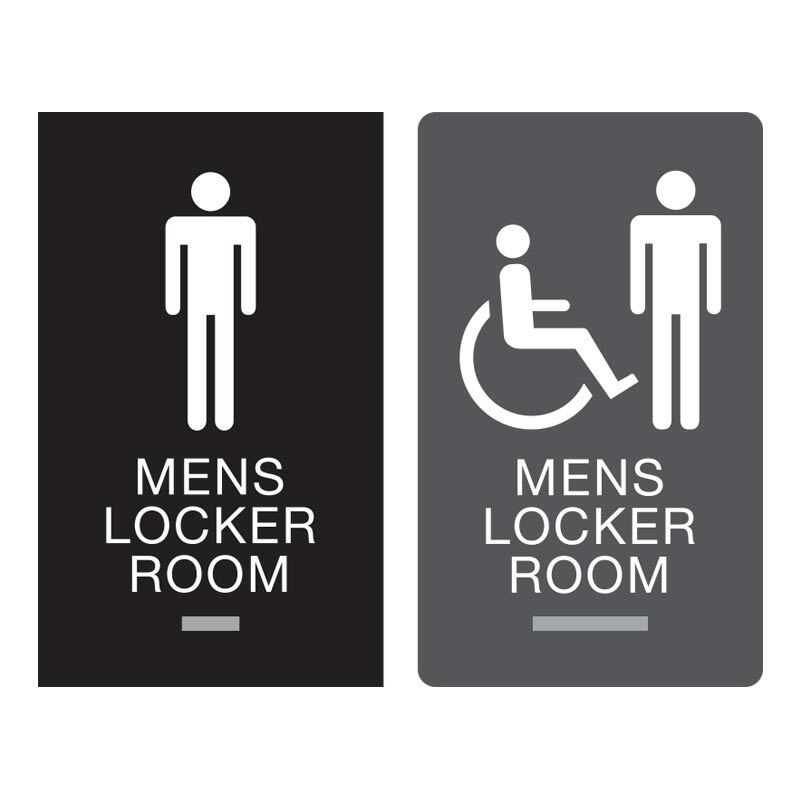 Call or email us for help on your ADA sign project - service@officesigncompany.com or via phone at (701) 526-3835 with all of your details. 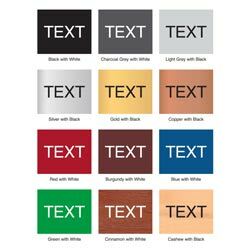 We have sizes and colors well beyond what is listed on our web site. 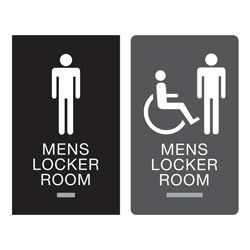 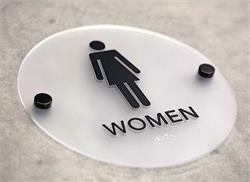 Custom Braille Signs for Locker Rooms and Public Facilities. 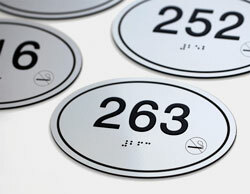 Elegant oval ADA braille room number signs with optional no smoking designation - an ideal signage solution for hotels and apartments. Customize this product with ADA compliant color combinations listed and any custom tactile text you require. 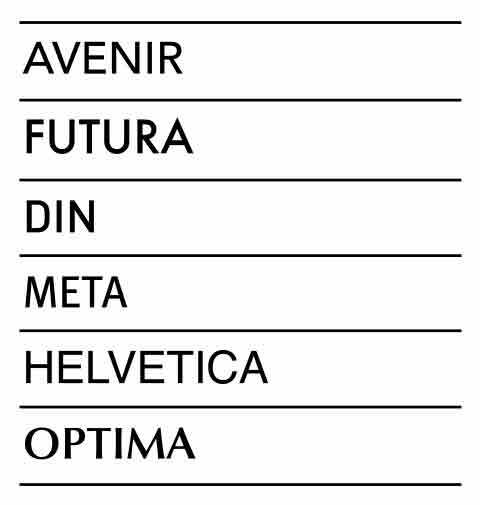 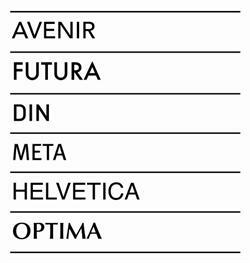 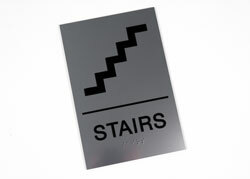 6" x 6" or 9" x 9" ADA Braille door signs with personalized text. 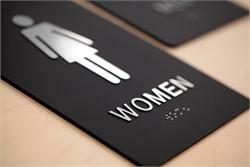 Silver, gold or copper substrate with black tactile lettering and Grade 2 braille. 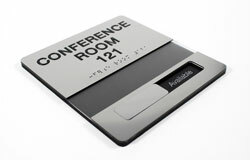 Includes black molded plastic frame. 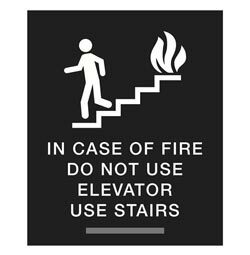 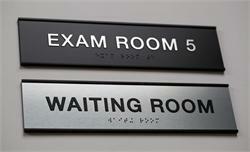 12" x 3" ADA Braille wall signs with metal frame and personalized text. 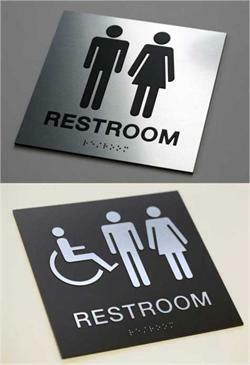 Customizable plate colors, tactile lettering and grade 2 braille. 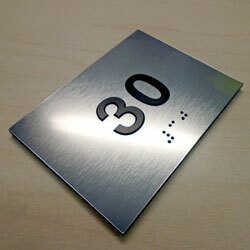 11 x 3.25" ADA Braille door signs with personalized text. 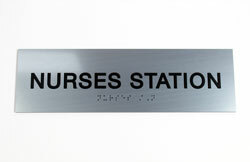 Silver substrate with black tactile lettering and grade 2 braille. 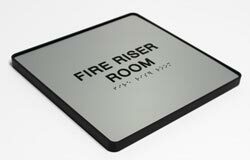 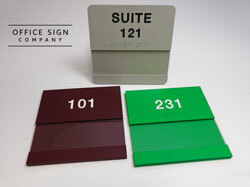 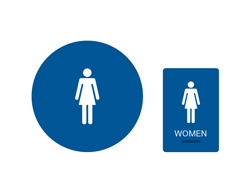 ADA compliant braille room number signs are available in a variety of sizes and virtually any color. 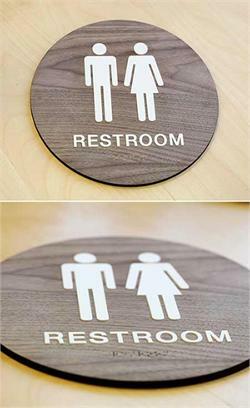 Choose from many different colors and finishes. 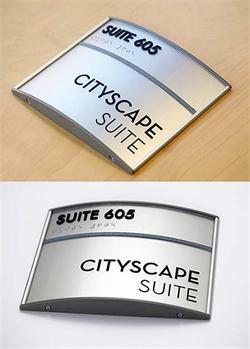 If you do not see a size or color you need, please contact us for custom sizes and color options.